People lead into every social situation with their nose, and it is frequently the first impression that one makes with other people. 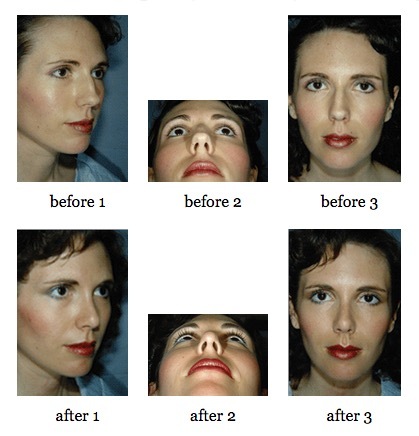 Correction of an undesirable nasal appearance can make a difference in how other people respond to you. Facial plastic surgery procedures that correct nasal deformities cannot only make you feel better about the way you look, but can also correct nasal air flow issues and greatly improve the quality of your life. 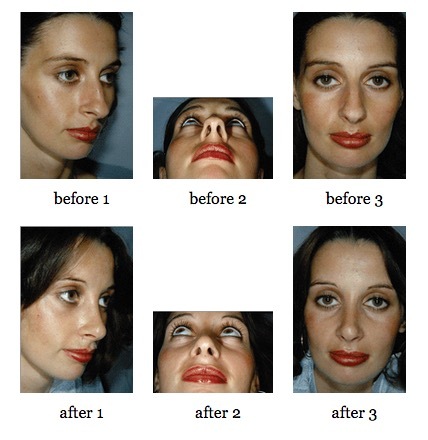 At Fairbanks Plastic Surgical Center, we address both the appearance and functionality of the nose. We have extensive experience in dealing with nasal problems. Our surgeons are accomplished artists and by combining medical science with art, they are able to achieve impressive results that we are sure you will be pleased with. If you are considering plastic surgery for your nose, we specifically recommend against the use of non-living or prosthetic materials. These can cause serious trouble later on, such as extrusion and scarring. Our advanced procedures use your own living tissues, sculpted to the optimal shape with your personal goals as the blueprint. By doing so, we eliminate the risk of rejection and achieve results we know you’ll be pleased with. 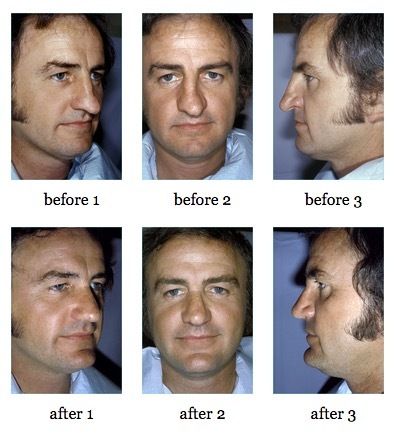 Finally, there are unfortunately cases where nasal surgery has been performed elsewhere with less than stellar results. Perhaps your airway is still obstructed, or the aesthetic results were less than you desired. We are able to help. 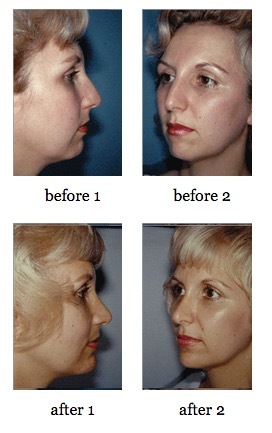 Just as we can correct the flaws of accident and nature, we can correct the problems of a bad rhinoplasty. 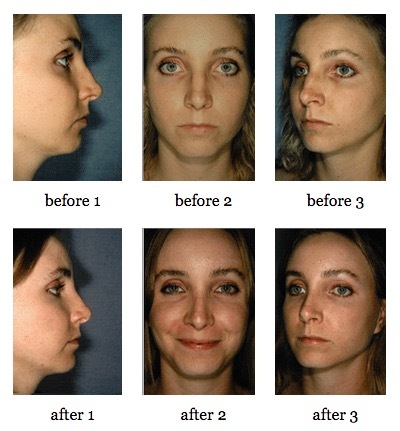 This procedure is called a Secondary Rhinoplasty or a Revisionary Rhinoplasty. 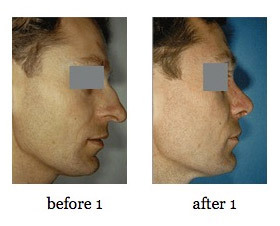 Please see our page on Secondary Rhinoplasty for more information. 39 year old male with excessively long nose corrected with rhinoplasty using special techniques. If you have had prior nasal surgery (rhinoplasty or “nose-job”) that was unsuccessful, and resulted in less that the desired appearance, or had difficulty breathing after surgery, be sure to call the office and come in for a consultation/evaluation of your result. 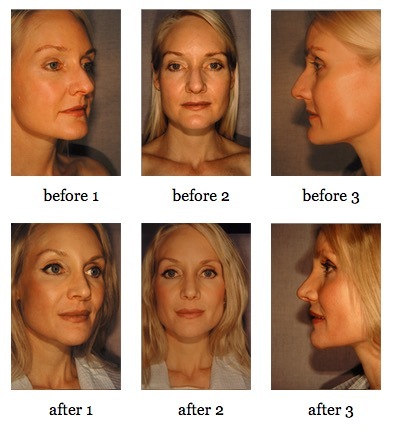 We are well known for our work in correcting failed rhinoplasties (see our page on Secondary Rhinoplasty).